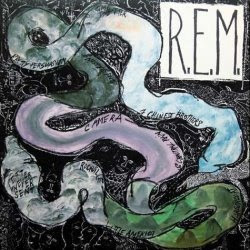 Following up last year’s “25th anniversary” edition release of R.E.M.’s 1983 debut LP, Murmur, the band is set to reissue their sophomore album, Reckoning, on June 23. The re-release of the album - which includes classic tracks such as “So. Central Rain (I’m Sorry),” “Pretty Persuasion” and “Don’t Go Back To (Rockville) – will be remastered and include a bonus disc featuring a previously unreleased concert recorded during the band’s Little America tour at Chicago’s Aragon Ballroom on July 7, 1984. The concert, originally broadcast on WXRT, includes eight of the LP’s 10 tracks, as well as other early fan favorites such as “Gardening at Night,” “Sitting Still” and “Radio Free Europe” and songs that would later appear on the band’s third and fourth albums. For more information, visit the band’s official site.